True Wild Life | Giant Clam | The giant clam is the largest immobile mollusc in the world, with the occasional giant clam individual reaching nearly 6ft in length. 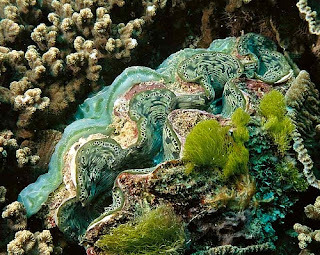 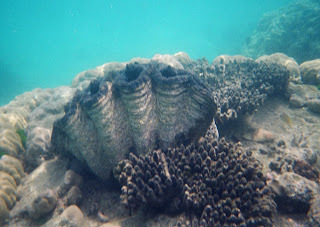 Once the giant clam has settled somewhere the giant clam remains there for the rest of its life. 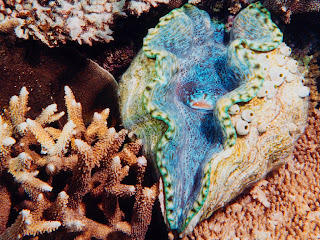 Giant clams are founded anchored to the coral reefs in the warm, tropical waters of the Indian and South Pacific oceans, where giant clams spend the majority of their time feeding on the abundant variety of food that a coral reef has to offer. 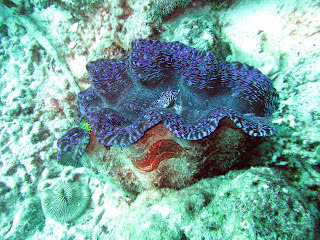 They look pretty when they are purpleish blue but the are so very HUGE.!.! 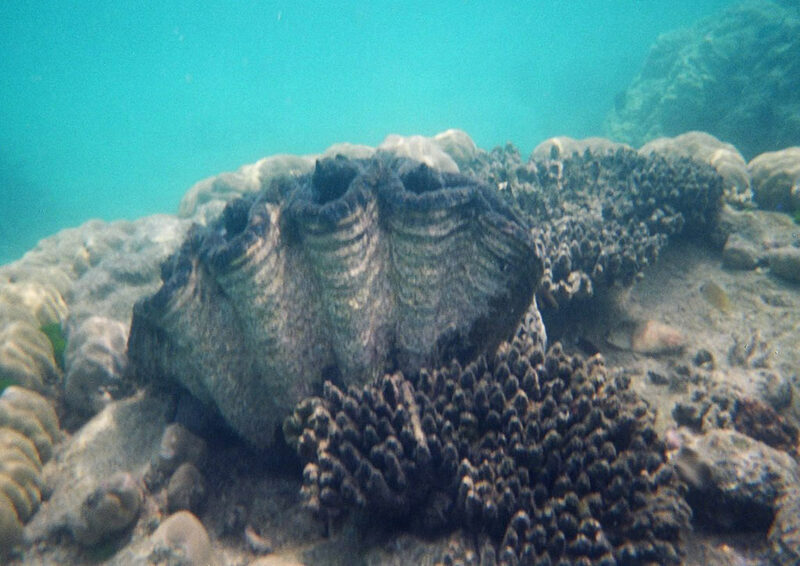 The excessive harvesting of giant clams by humans has led to rapid declines in the world's giant clam population.